Every week our team launches some really astounding responsive designs for the Keller Williams eAgentC platform. We make it possible to take a non-responsive area and allow for it to be custom designed to fit their business and their clients’ needs by allowing them to work on all mobile platforms. Take a look at these awesome new works we have to show you! Anne Lawrence come to us for a new mobile design for her website. Graphic designer, Bianca, and web developer, Eric were happy to help bring her new minimal design to life. 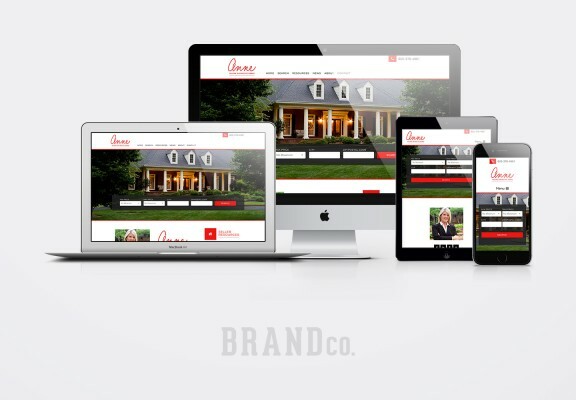 When entering the website, you’re instantly greeted with a warm beautiful home and the ability to quickly search for homes. Three calls to action are included near the fold for users to get both buyers and sellers resources and the ability to grab your home’s value. You can also connect with Anne through social media or to view her testimonials. The use of red and white makes the design really pop as well as keep the over all design very clean. Orlando Florida is home to Keller Williams agent Carolyn Burleson-Webb. 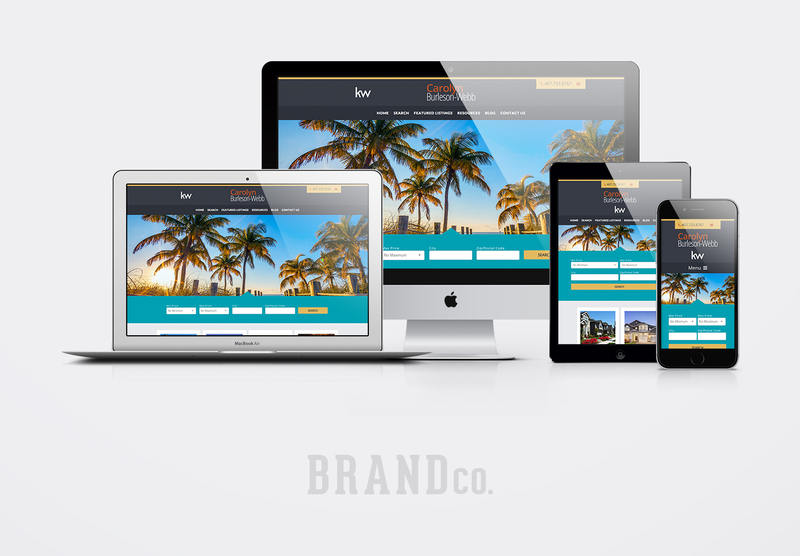 Designer Piero took the opportunity to make this Florida-native client a beach themed website to match her business needs. Carolyn’s website meets users with a welcoming scene of palm trees and the beautiful Florida sun. This is an excellent visit for those interested in relocating to Orlando and want to know more about what the city and its surround areas have to offer. You can connect with her on Facebook as well as check out what her clients have to say in her Testimonials. Within this website’s blog area, you can learn about DIY projects that will help to sell your home. I am sure that more great information will be on the way from them, as well. This desert centric design from Piero was exactly what the Earnest Real Estate Group was looking for. Located out in Phoenix Arizona, a landscape of beautiful stone work homes, cactuses, and desert sand is something very welcomed. Earthy tones are used through out to represent the area appropriately. 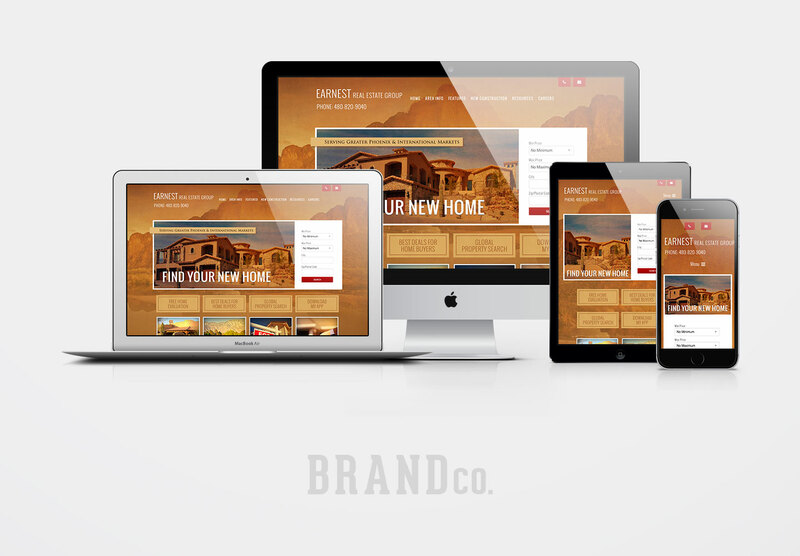 On this website, the home search area is displayed vertically and along side a gorgeous home. Users can find six key calls to action, guiding them to area such as Global Property Searches or Careers in Real Estate. George Renfro, agent of Keller Williams, focuses his business on Luxury home sales in Houston Texas. 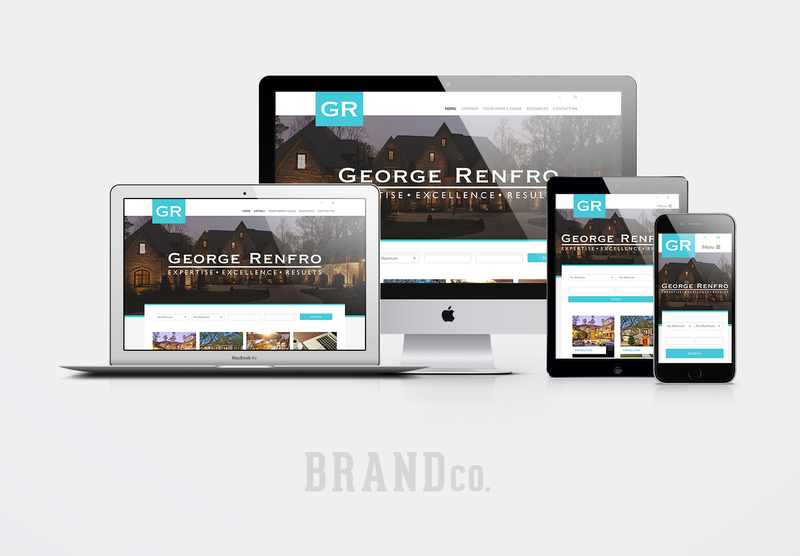 His new website design is a combination of both minimalism and luxury. The home you are met with as you visit the website is grand in scale, demonstrating the kinds of homes that he would like to work with. 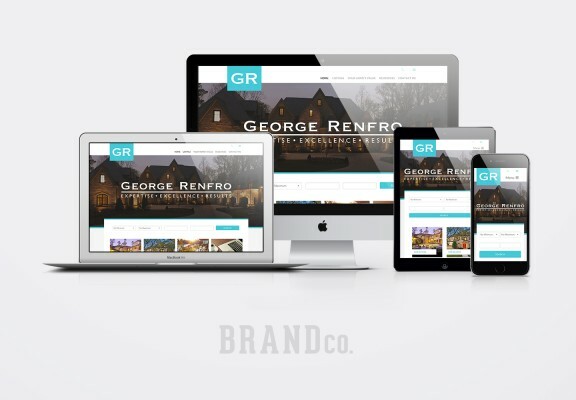 With 40 years in the business, George’s website is set to help him go the rest of the way for his clients. You can find the ability to connect with him through both Facebook and LinkedIn. Also, you can read a few raving reviews from his clients.